We're Talking Quality Home Cooking! We cannot stress it enough. The food at camp is fantastic! We serve 3 delicious, nutritious, and well-balanced meals each day. Hungry between meals? It makes sense. Our boys burn calories at a higher pace than they typically do at home. There is always a big bowl filled with delicious fresh fruit for those inbetween snack times. Home cooking includes REAL potatoes when we have mashed potatoes, REAL eggs when we have scrambled eggs. Home baked breads and homemade desserts. 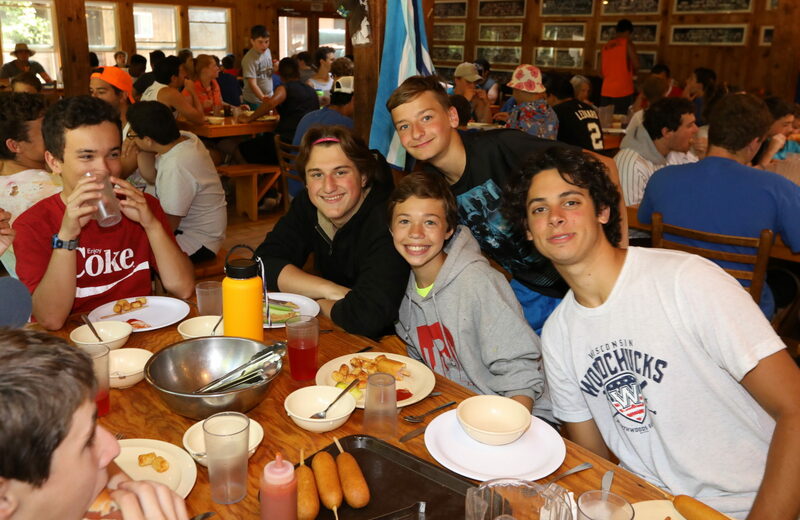 Ask a Timberlane camper and you'll hear how much they look forward to meal times at camp as a chance to relax, re-connect with their cabin mates, and recharge with tasty food.